Upscale DJ bar with leather-seated booths and reflective ceiling, serving champagne and cocktails. Designed by Martin Brudnizki, JuJu London oozes style and sophistication. Situated on the famous Kings Road in Chelsea, JuJu London has become the jewel in the crown of Chelsea’s bar scene. With an extensive cocktail list including a range of JuJu Signature Cocktails all created by expert mixologists, JuJu London has secured its place as one of the best loved cocktail bars in London. Along with fantastic cocktails JuJu London has a carefully selected choice of champagnes and wines all complemented by a delicious tapas menu. 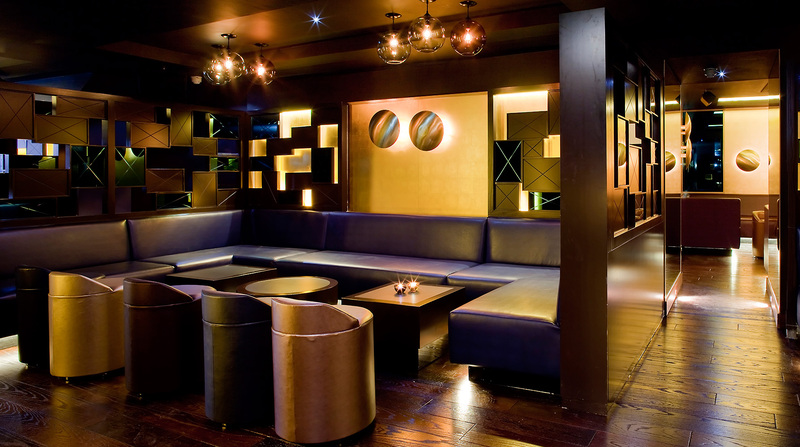 Recognised for its sleek interior, amazing cocktails and exclusive yet relaxed atmosphere, JuJu has won Best Late Night Bar 2013, Best Mixology 2012 and Best Bar 2011 at The London Club and Bar Awards.